Bespoke Hire has recently invested in our audio hire department April 2018 saw the arrival of D&B Audiotechnik, we have purchased T Series, Y Series and D20 Amplifiers. We are delighted and proud to be able to provide D&B Audiotechnik Hire Kent, not only is our equipment brand new it is also maintained and tested before and after every hire. Bespoke Hire is now a proud stockist of D&B Audiotechnik T10 (NLT), D&B Audiotechnik Y7P (NLT), D&B Audiotechnik Y Sub (NLT) and D&B Audiotechnik D20. Bespoke Hire offers a FREE DELIVERY service across Kent for orders over £300. Please take a look at the audio hire that we have to offer from the link below. With the epitome of line array loudspeakers and a new generation of point sources, the Y-Series offering is all-encompassing. Including dedicated subwoofers, this comprehensive Series addresses small to midsized applications. From concerts and church services to symposiums and car expos, the Y-Series meets the individual needs of each and every discipline. In essence all Y-Series cabinets house two 8” low frequency drivers for transferring a vibrant and transparent performance, while a 1.4” compression driver delivers precise and velvety high frequencies. Featuring rotatable horns for easy deployment in either orientation, the lightweight Y7P and Y10P point source loudspeakers offer horizontal dispersion angles of 75° and 110° respectively and ensure horizontal directivity control down to 500 Hz; beneficial especially in reverberant or acoustically challenging environments. Meanwhile the compact, passive 2-way Y8 and Y12 line array modules deliver, in turn, 80° and 120° horizontal dispersion, while sharing a frequency response extending from 54 Hz to 19 kHz and patented, integrated three point rigging. 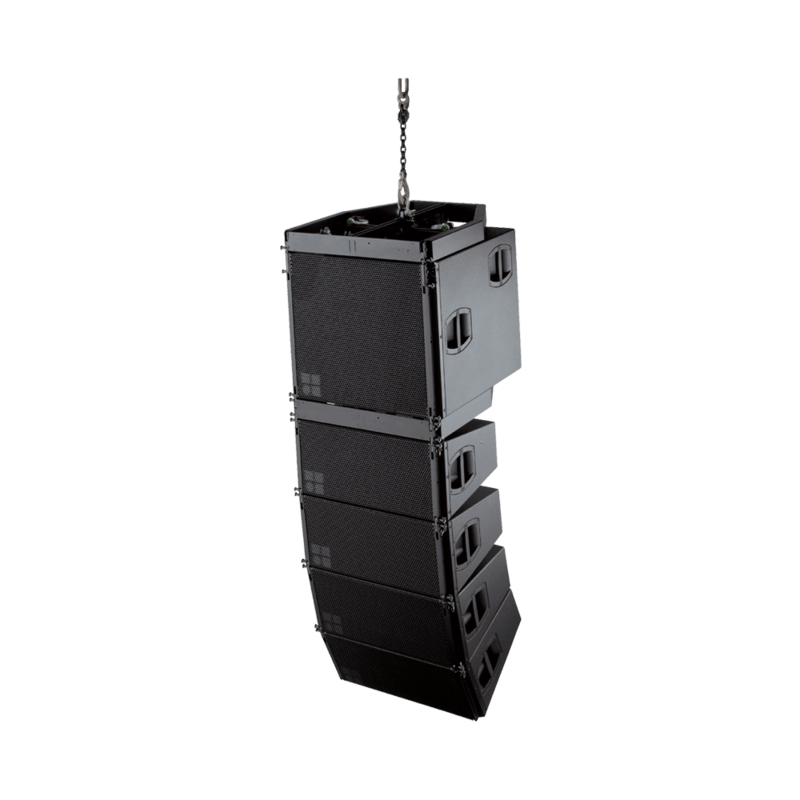 The Yi loudspeakers are designed for integration within permanent installations, differing from the mobile Y-Series in cabinet construction and mounting hardware. To protect all this, the Yi cabinets are coated with an impact resistant paint finish, with Special Colour matching and a Weather Resistant option available as needed. The versatility of the Y-Series is matched with advanced components: drivers in dipole arrangements, innovative waveguides and port designs, rotatable horns and cabinet finishing. With the omnidirectional, B6-SUB, featuring an 18” driver with extended excursion capabilities, and the arrayable, cardioid Y-SUB, for a precise and dry low end, the Y-Series is quite simply a system with everything.